Today (15.01.2018), SSC has declared the result of SSC MTS 2016-2017 Paper 1 Examination. You may download it from the links provided below. 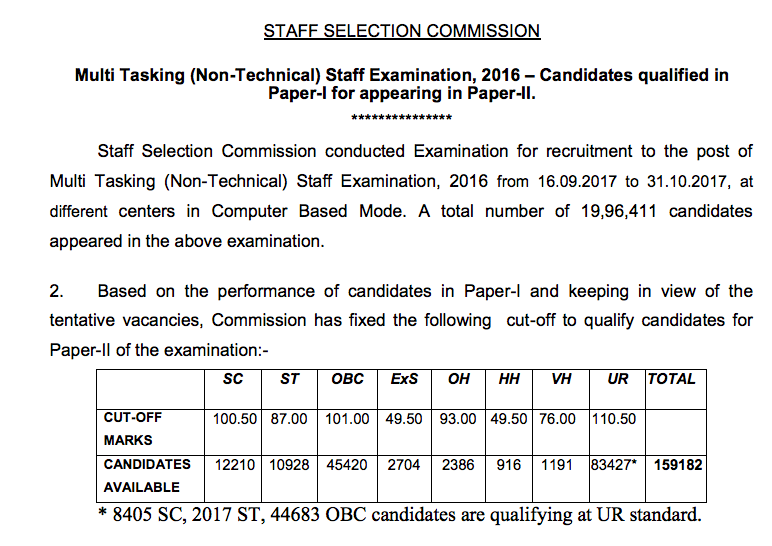 Staff Selection Commission conducted Examination for recruitment to the post of Multi Tasking (Non-Technical) Staff Examination, 2016 from 16.09.2017 to 31.10.2017, at different centers in Computer Based Mode. 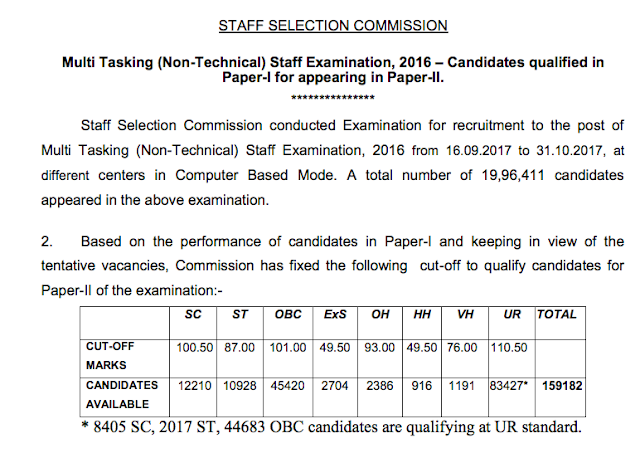 A total number of 19,96,411 candidates appeared in the above examination. Since Paper-II of this examination is of qualifying nature, the final selection of candidates will be made on the basis of their performance in Paper-I. Therefore, the marks of Paper-I of the candidates will be uploaded after the declaration of final result.